It was another great day of Craft Lightning (projects that can be completed in 15 minutes or less). Have you missed any of the fun this week? Check out the features from day 1 and day 2. Plus we are bringing you two more days of great quick and easy crafts this week. Want a chance to be featured? Hurry and link up your quick craft project to the linky party. Now for today’s five projects from around the web that can all be completed in 15 minutes or less. 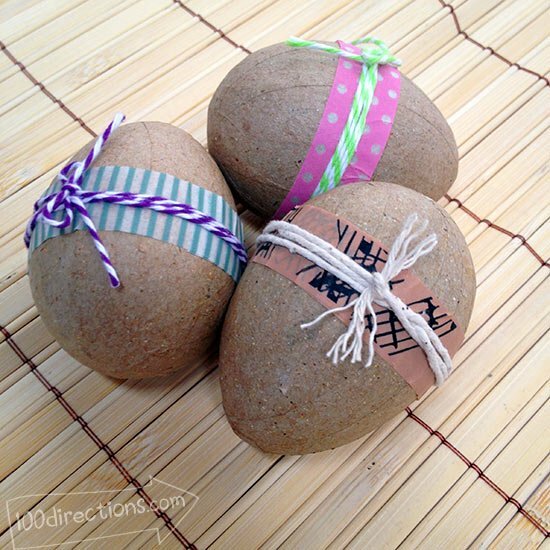 Jen Goode gave us a simple yet gorgeous way to decorate Easter eggs with washi tape and twine. 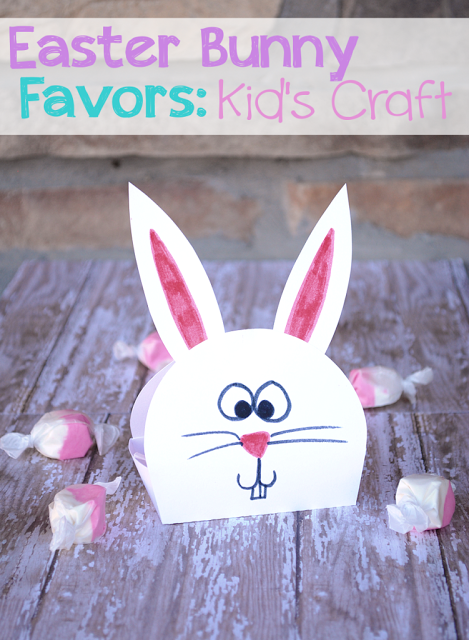 Crazy Little Projects came up with this adorable kids craft for Easter bunny favors. 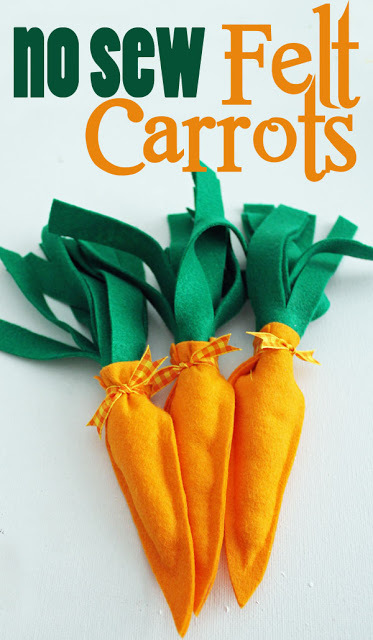 My partner for this series Carolina from 30 Minute Crafts shared these no sew felt carrots. She used a glue gun y’all! This one can be done by anyone! 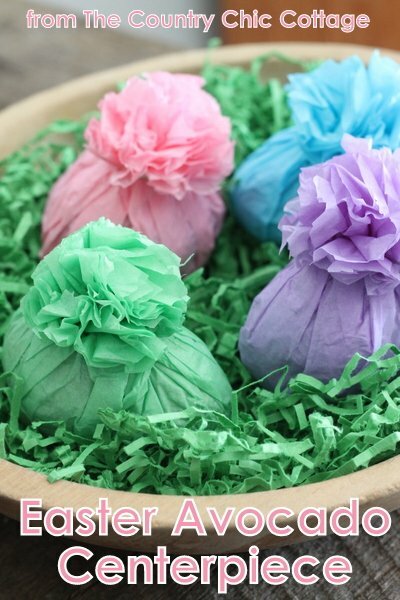 I shared a way to turn the avocados from your fridge into decorations for your Easter table. 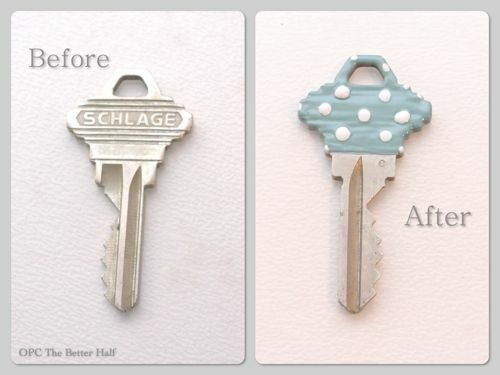 Finally, from our linky party, we have One Project Closer with a great quick and easy way to bling out your keys. Y’all stay tuned as we have even more fun planned this week.